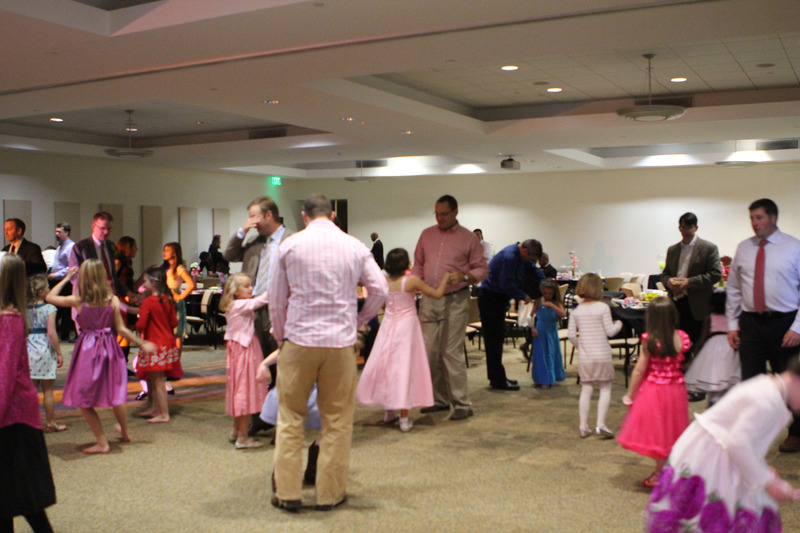 The annual Daddy/Daughter Dance is open to fathers and their daughters ages 5-12 years old, and features a fun afternoon with great music, dancing, and refreshments. Dress is semi-formal to formal. This is a great opportunity to make another magical childhood memory! Bring your dancing shoes and camera! “Sweetheart Dance” (wear your best formal/semi-formal attire). Tickets are $30, $5 for additional daughters, and reservations are required. Registration is limited to the first 100 daughters. 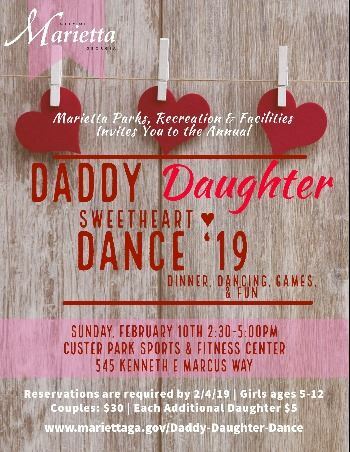 For more information, call Marietta’s Parks and Recreation Department at (770) 794-5630. This request is in regards to the Father / Daughter Dance on Sunday, February 11th. I would like to request to be a vendor at the dance. I would like to offer small sized teddy bears with a set of pearls (necklace and earring sets) to be purchased at the dance. Prices will range from $10.00-$25.00.